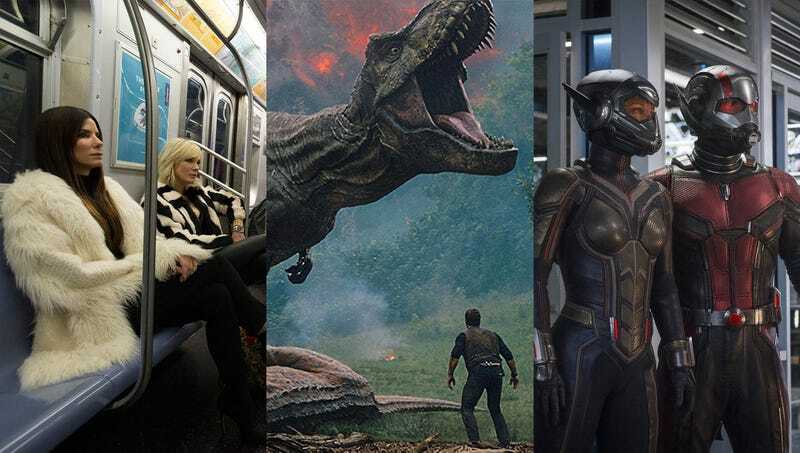 The summer of 2018 promises to offer the typical onslaught of blockbusters, thrillers, and occasional artsy fare. The Onion takes a look at the most anticipated movies of the summer of 2018. Jurassic World: Fallen Kingdom: Universal hopes that the series’s fifth installment will finally be the one to put the Jurassic Park franchise in the black. Uncle Drew: The sports comedy marks Pepsi Max’s first foray into feature-length branding. Action Point: After 2013’s heartbreaking loss in Makeup and Hairstyling for Bad Grandpa, Johnny Knoxville returns in this obvious Oscar bait. Hereditary: The most talked-about horror movie of the summer among people who have heard of it and plan to see it. Ocean’s 8: This female-led comedy is widely expected to pave the way for next year’s summer movie season to also feature one female-led comedy. Crazy Rich Asians: Critics are skeptical if this Warner Bros. film is the best vehicle for lead Scarlett Johansson. The Spy Who Dumped Me: Biblical movies generally do well at the box office, and this one is expected to be no different. Solo: A Star Wars Story: No advance info available.